A firm of receivers has stated that tenant numbers going into rent arrears of more than two months is rapidly growing. The firm that is part of a national property group estimates that there are now over 98,000 tenants who are behind with their rent by at least two months, which is an increase of 3.3% in the second quarter of this year. Frighteningly their estimated figure is the third highest level ever recorded. Obviously the worsening situation is again reflected with increased numbers of court orders being handed out in evictions- 5% increase in the first three months of this year. Figures released for the first quarter show that 28,473 tenants appeared in court facing eviction orders - 9.4% higher than the first quarter in 2012 and a 4.9% increase from the previous quarter (Oct-Dec 2012). It has to be said that although the figures are shocking, the numbers of tenants in rent arrears are only a minority compared to tenants paying the rent on time......but it is a worsening trend which may impact upon buy-to-let lenders and landlords. 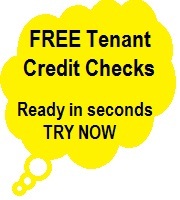 Those tenants in severe arrears represent 2.4% of all tenancies throughout England and Wales. Taking an annual basis, tenant numbers in major arrears is looking to show a slight improvement – a fall of 2.9% in absolute terms. But serious cases of arrears over the past twelve months are still 20% above the long term average. A spokesman for the receiver, said: “Tenants as a whole have already shown great resilience to setbacks, and we expect the proportion of all rent in arrears to halve between 2008 and 2018. But a troubled minority is feeling the pinch most sharply. “Slower rent rises in the last couple of months have provided some relief. However, the longer-term battle is with other forms of inflation, plus unemployment and anaemic wage growth. Consumer inflation is persistently outpacing the Bank of England’s target, and escalating much faster than either rents or wages. “There is a growing block of tenants who can’t keep their heads above the rising tide of inflation and weak wage growth.